Over the years, John has written reports for Scottish governmental bodies and many others on diverse aspects of Scotland's past. This page provides copies of some of the reports and links to others. It also includes reports on work John has undertaken himself. Other reports have formed the basis of later publications - for those, see the Publications page. John welcomes comments on items published on this page, which will be updated as new information and views become available. Contact John by clicking here. The spoil heap of the Loss Mine in Menstrie Glen, the rubble still toxic to most plants due to its high copper content. The Ochils lie east of Stirling. There is a wealth of documentary evidence for mines and mineral workings in the hills in the seventeenth and eighteenth centuries as well as the physical remains of mines, mineral samples etc. The best known, the silver and cobalt mines at Alva, are discussed in detail in Stephen Morton, 2007. Bonanzas and Jacobites; The Story of the Silver Glen, National Museums of Scotland, Edinburgh. John’s work touches on Alva but also covers mines in Logie parish (including the mine in Copper Mine Wood, Bridge of Allan) and in Tillicoultry. For a summary see John G Harrison, 2003, ‘Heavy Metal Mines in the Ochils; Chronology and Context’, Forth Naturalist and Historian, 26, p.105-118. Download a PDF of full report here. 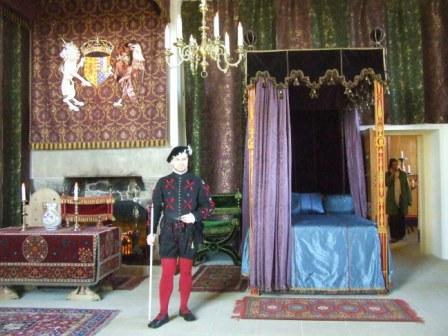 The Queen's Bedchamber in the represented Stirling Castle Palace - a riot of colour and rich fabrics. The Stirling Castle Palace Project was a massive undertaking by Historic Scotland involving research lasting for almost a decade. John was fortunate to be one of the team involved and, eventually, to be asked to write the official book about it (see Books and Chapters). Throughout the project, John and other researchers published reports and other material online whilst material continues to appear in the academic press. You can find the archaeological reports and also John's reports on the palace building, the royal wardrobe of James V and the castle landscapes on the dedicated pages. 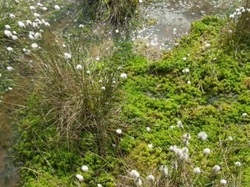 Cotton grass and sphagnum are the characterisitic plants of Flanders Moss, Britain's largest surviving raised bog. Further work, by John and with Dr Richard Tipping of Stirling University led to two publications. The work suggests a radically new understanding of this important and enigmatic area and puts local issues of settlement and moss clearance into a national and international context. John G Harrison and Richard Tipping, 2007. ‘Early historic settlement on the western carselands of the Forth Valley; a reappraisal’, Proceedings of the Society of Antiquaries of Scotland, 137, 461-470. John G Harrison, 2009. ‘East Flanders Moss, Perthshire, a documentary study’, Landscape History, 30, 5-19. John G Harrison, 2009. 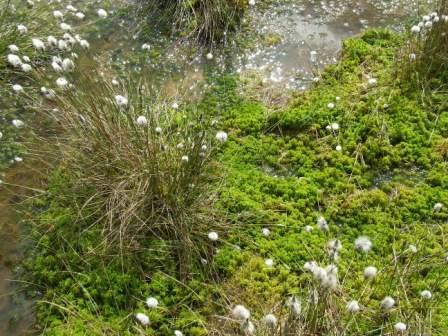 ‘East Flanders Moss – some historical myths and some historical evidence’ pp. 18-24 in Scottish Local History, issue 77 Winter 2009. Posting of this work has been long delayed by other projects. I hope others, reading something of the problems faced by the workers in the industry and the difficulties of distribution, will begin to appreciate how important this trade was. Not least of its fascinations is the emergence of two significant women entrepreneurs (one, styling herself 'nailwife'). I was asked to research the documentary evidence for this site, north east of Glasgow City Centre, back in 2009. I gather than the project has now moved on to the next stage of further survey work. And, as the Report is now available online, I am providing a link here. Views over water were a plus for sixteenth century elite residences and, in that respect at least, Linlithgow won hands down! John's findings on the important royal landscapes of Edinburgh, Holyrood, Linlithgow, Falkland and Stirling were first published in 2012 on this website. New findings and research means that now (October 2016) it is time to update. The Report can be ﻿downloaded by clicking here﻿. Comments on this piece would be particularly welcome - contact John here. 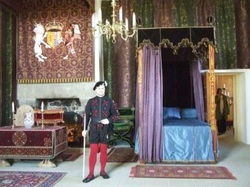 John's initial report for Historic Scotland on the Stirling Castle landscapes can be found at http://sparc.scran.ac.uk/home/homePage.html). 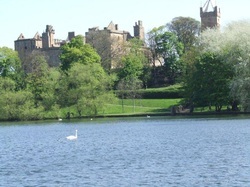 Other work at Stirling’s King’s Knot and Haining areas has been carried out by Stirling Local History Society and others, guided by Stephen Digney ﻿(http://www.stirling-lhs.org/kings-knot-survey-results.html)﻿. These results were further published by Digney and Jones (2013) in Forth Naturalist and Historian, volume 36, 129-147. The Valley Rock Fountain is the centre-piece of the Valley Cemetery. Here, at the feet of three of the best-known Scots protestant preachers, visitors were invited to take 'spiritual' as well as bodily refreshment. John provided the background research for the major restoration of the Valley Cemetery at Stirling, funded by the Heritage Lottery Fund, Historic Scotland and others. This important area has been physically restored to its mid nineteenth century splendour. John's work has provided a new understanding of the landscape, the layout of the statues and other aspects of this important scheme. The best way to understand the site is, of course, to visit; the cemeteries are open and immediately below Stirling Castle and there is some simple signage. Before you go - of if you can't make the trip - you can follow John on a video introduction, highlighting the main features. You might also like to read the following. Harrison, J G., 1990. ‘Some Early Gravestones in the Holy Rude Kirkyard, Stirling’, Forth Naturalist and Historian 13, 79-96. John G Harrison, 2010. ‘The Kirkyard and Cemeteries beside Stirling Castle’, Forth Naturalist and Historian, 33, 49-59. John G Harrison, 2013. One Grand Whole: Gravestones and Monuments in Stirling's Old Town Cemeteries, Stirling Local History Society & Friends of Holy Rude Church, Stirling. [booklet sold in local libraries, Smith Museum and in the church]. Wellgreen is one of the most historically evocative sites in Stirling. A woman was executed as a witch in 1659 for taking water from the well. Plague victims were buried here. 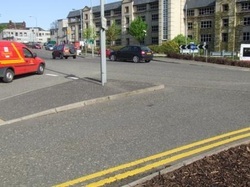 But most echoes of the past, including any remains of Stirling's sixteenth century pottery, have been lost to traffic and car parks. Few finds are more important for archaeologists than pottery, which lasts almost indefinitely, providing crucial dating clues. John has previously written on the seventeenth-eighteenth century pottery at Throsk, Stirlingshire (see Publications page). He can now present evidence for a pottery which operated in Wellgreen area, on the fringes of the town of Stirling itself, in the fifteenth and sixteenth centuries. 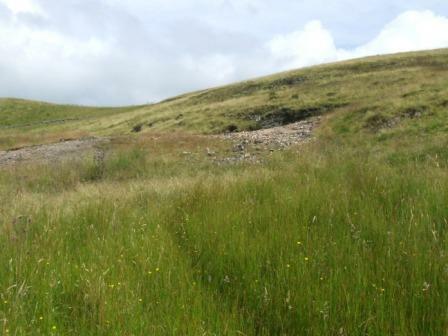 In 2012 John completed a short report on the history of the Eddleston Water and surrounding catchments for Tweed Forum http://www.tweedforum.org/projects/current-projects/eddleston-historical-changes.pdf. The report, which also draws in evidence from other parts of Scotland, is the first attempt in Scotland to examine the history of river management over a wide area. The major projects were all related to wider efforts at ‘agricultural improvement’ – and, as they proceeded, local commentators often remark on their wider environmental impact. The report discusses wider issues of the drainage of fields and uplands, marshes and mosses, as well as the deepening and straightening of river channels themselves. Work from this extended project has been very slow to appear - but, finally, early in 2017 the main Report was published online and can be accessed FREE here. The Sheriffmuir – Archaeology, Land-Use and History. My interest in the landscapes and history of the Ochils goes back many years. The Sheriffmuir is one of the most fascinating parts and is richly documented. So, I have put together a Report (for this website only!) about it, emphasising archaelogical features (ancient and modern) and highlighting some of the changes, apparent in the eighteenth century or ongoing today. Find the Report here.